Actually, I think it should be called the 'Flower Garden' dress. The pattern directions were great, although some of the methods were different than the way I would have done them, in the end, I liked them better. This dress looks almost as nice on the inside as the outside. So, it satisfies my perfection complex! This fabric reminds me of an Anthropologie apron. What a darling simple dress. I looks simple, but I know there was a fair bit of detail work. Where did you get the pattern, oh and the fabric? It is darling fabric! It would also be so cute as a tiered skirt or a skirt with layered ruffles. This turned out great! I bet H just loves it! We love that adorable little dress. It looks like you did a great job! It is such a rewarding feeling when something turns out well.The few things I have made for the girls have been treasured by them,hopefully this will be a keepsake for Big Sister. The pattern is oliver + s Ice Cream Dress. It's an online site that has such cute patterns. The fabric came from Joann's. 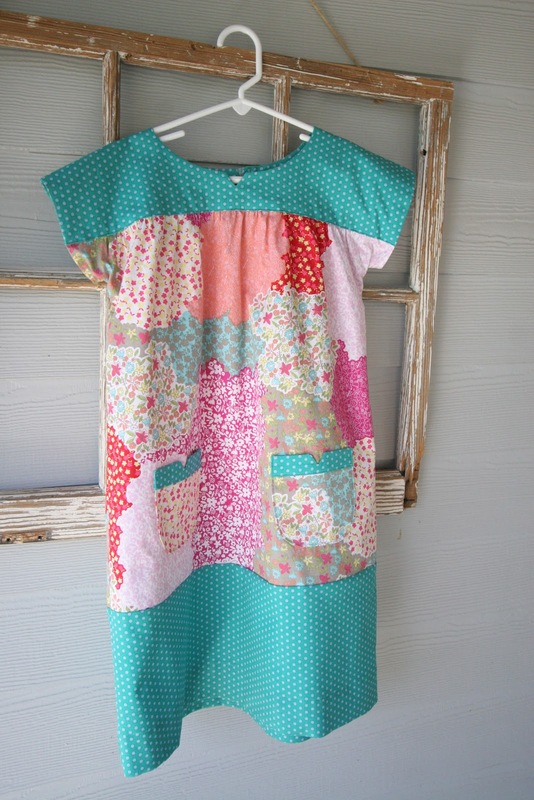 I used to sew quite a lot before children came along. It is fun to sew something special and see how happy they are with it! Adorable dress but not as cute at the model! She's precious! Wish I could sew. Great talent!